Oral health directly influences systemic health in many ways. Without proper dental and gingival care, bacteria become an issue by impacting dental function. Extensive research shows oral bacteria can advance into the body. Martina Reynolds, DDS, offers gum disease care from her office in Central Park and delivers gentle treatment to fully restore oral health. Our full suite of restorative procedures address the issues brought on by advanced bacterial infection, including gum recession and tooth loss. Our in-office periodontist performs any specialized procedures, guaranteeing your treatment is managed in one convenient location. Microorganisms are part of every person’s biology, but improper daily hygiene allows unhealthy bacteria to spread throughout the smile, even beneath the gum line. Gum disease can be caused by vigorous brushing habits, causing gums to recede and granting bacteria access to sensitive areas. However, hygiene neglect is often responsible for advanced gum disease, or periodontitis. Dr. Reynolds understands all aspects of gum disease and does what she can to prevent its proliferation in the smile. No matter how advanced your issues are, our practice is willing and equipped to help. Beginning with a one-on-one appointment, we diagnose the level of care you need, creating a plan to rebuild and maintain oral health and function. We look at the issue holistically, whether work, diet, or unhealthy dental habits are impacting gum health. Proven Periodontal Treatments: Our doctor and hygienists are skilled in gentle root planing and scaling to remove infectious tissue and reestablish stability to teeth and gums. With regular maintenance, our practice monitors these areas and ensures they do not grow worse over time. We make use of antibiotics, oral rinses, and cutting-edge technology to progress your gingival health. Care from Our Periodontist: For those who have experienced periodontitis and need extensive care, our visiting specialist can perform a range of gingival grafting procedures. These are crucial to re-establishing the gum line and making your smile a healthy environment once again. Dr. Martina Reynolds offers gingival care in Manhattan. 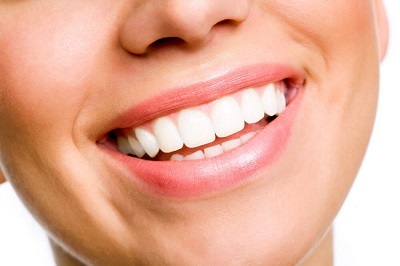 Visit our Central Park practice if you are experiencing any symptoms of gum disease. Call us today!